The time for change has come. After 7 years and 8 months as Lead Pastor at Cross Community Church in Palm Beach Gardens, Florida, I have accepted a new assignment. 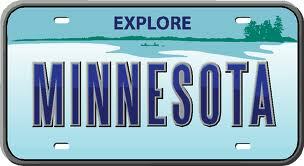 Letha and I are moving to Minnesota where I will assume the role as the State Administrative Bishop for the Church of God. Rather than leading a local church, I will be a pastor to pastors. Leadership development, local church consulting, fund raising and church planting will be some of my highest priorities. It should be fun! We are very thankful for the time we have spent here, for our friends and for the blessing the church has been to us. But we know that God is providing this transition for us. We are excited about the future! Pray for us as you think of us. We will be moving the second week of August (last day at Cross Community is August 12). If you’re in our area, we’d love the chance to say goodbye before we leave. Goodbye sandy beaches, hello land of 10,000 lakes!